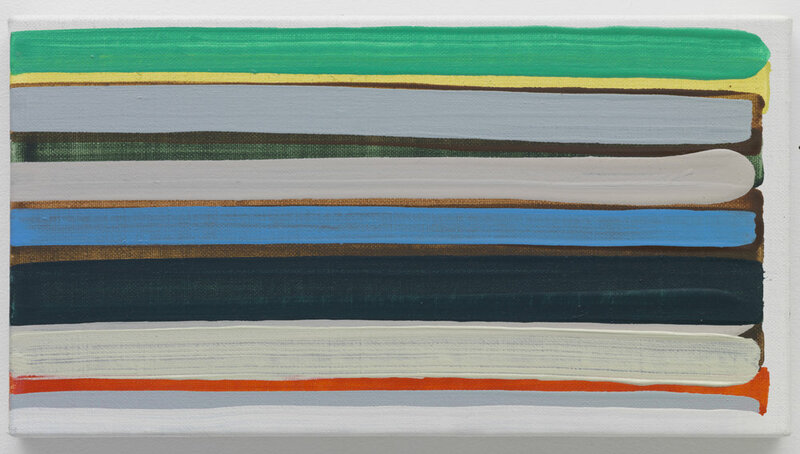 Parrasch Heijnen is pleased to present an exhibition of new paintings by Tokyo-based artist Yui Yaegashi (b. 1985), the artist's first solo exhibition in Los Angeles. These paintings interweave artistic influences culminating in a visibly palpable global contemporary form. The works inherently recall Southern California artists working in the 1950s and 1960s who championed a Zen mentality by looking across the Pacific to the East. Yaegashi's process – which includes overpainting and "canceling" of ground -- infuses her palette with the subtlety built of a monochrome field structured by grid lines and juxtaposing planes. The resulting compositions recall not only tropes of West Coast American abstractionists, such as John McLaughlin and Frederick Hammersley, but also connect to the practicality and chromatic intensity of twentieth-century Japanese textiles. Chocked into an economy of scale is the richness of Yaegashi’s delicately built structure. Elements distinct to the artist herself meld with the visual language of her predecessors; each painting’s presence far overshadows its size. Yui Yaegashi was born in Chiba, Japan. She received her BA from the Tokyo Zokei University, Department of Painting in 2009, and her MFA from Tokyo Zokei University, Graduate School of Art and Design in 2011. Yaegashi currently lives and works in Tokyo. Her work has recently been included in The way of painting at Tokyo Opera City Art Gallery, and in solo exhibitions at Misako & Rosen, Tokyo, Shane Campbell Gallery, Chicago, and Midway Contemporary, Minneapolis.